Output power 65W/45W (Output voltage :19.5V ,output electric current 3.34A/2.31A ). 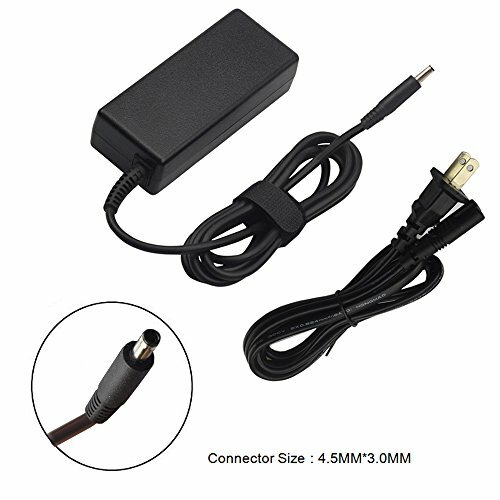 Output Max - 19.5V 3.34A 65W (compatible with 19.5V 2.31A 45W) Input Volt Range: 100-240V,Connector: 4.5*3.0mm( CHECK CONNECTOR PHOTOS !! NOT 7.4*5.0mm).Dell charging connectors look similar but are different sizes,Please check the photos If not sure this charger will compatible with your laptop,please feel free to contact us. UL Listed Products - the product has successfully met stringent requirements.Manufactured with the highest quality materials and include multiple smart features safeguarding against IV - incorrect voltage, SC - short circuit, IO - internal overheating. If you have any questions about this product by Dexpt, contact us by completing and submitting the form below. If you are looking for a specif part number, please include it with your message.